A case for treating athletes' mental health issues the same way we would treat a physical injury. On June 22nd, 2017, the Philadelpha 76ers selected Markelle Fultz with the first pick of the NBA draft. Renowned for his outside shooting, passing ability, and composure, the University of Washington star was taken in the hopes that he would help unite a group of burgeoning young talents. Instead, Fultz has become the laughing stock of the NBA. From his first few minutes of professional basketball, Markelle Fultz has looked overwhelmed. The silky smooth shooting form that vaulted him atop the draft heap has been replaced by a hitch-ridden, embarrassingly inaccurate jumper. What’s worse, he has often seemed to openly fear shooting the ball, resorting to hurried passes or shaky drives when left open. After failing to record a three-point attempt in his first four games, the consensus number one pick was sidelined with a “scapular muscle imbalance” — a fancy term for an aching shoulder. Videos of him in practice trying to fix his broken jump shot began circulating online. Despite the injury’s generally nominal recovery time, Fultz ended up sitting out the rest of the season. Since returning this year, his game is still exhibiting some red flags. His free throw motion sometimes catches at the top, as he seems unable to release the ball. His three-point percentage hovers around 30 percent, a far cry from the 41.8 percent he shot in college. Originating from golf, the “yips” is a term used to describe an athlete who suddenly becomes unable to perform fundamental aspects of the game, like throwing to first base or shooting a free throw. The former number one pick has become one of the most public cases ever, exhibiting signs of mental disturbance in the same sport that recently venerated Kevin Love for opening up about having panic attacks. In Fultz’s case, however, it’s been treated differently. It can be hard to watch someone in real life look like a glitched video game, and not laugh. So the internet has been doing just that. With the 76ers’ recent acquisition of Jimmy Butler, a player known for berating teammates over a perceived lack of effort, the media had a field day. NBA analyst Chris Broussard announced jovially that “Fultz is done” when Butler arrives. Former Celtics legend Paul Pierce laughed on air at another missed free throw. Earlier this week, Fultz announced that he will not be returning to games or practice until he feels everything is sorted out. Jokes aside, think about what he must be going through. He was the best college player in the country, the number one overall pick in the draft, the most highly touted prospect in years, and now he can’t seem to shoot a free throw without yelping. The sports world is watching, yet no one is trying to help him. I’m not saying that Fultz deserves special treatment because he is suffering from an issue of mental health. Quite the contrary; If he can’t perform, he can’t perform. Playing a sport professionally is a privilege, not a right. I’m saying that he should be treated like any other injured player. When Gordon Hayward suffered a season-ending injury last year, there was an outpouring of support from the NBA community. Twitter was a-flurry with “get well soon” tweets from his peers, and condolences from members of the media. Moments after the injury occurred, Lebron James himself held Hayward’s hand, offering words of encouragement as he was carted off the court. Fultz is dealing with an equally debilitating issue, one that has already cost him a season, and he deserves a corresponding level of support. 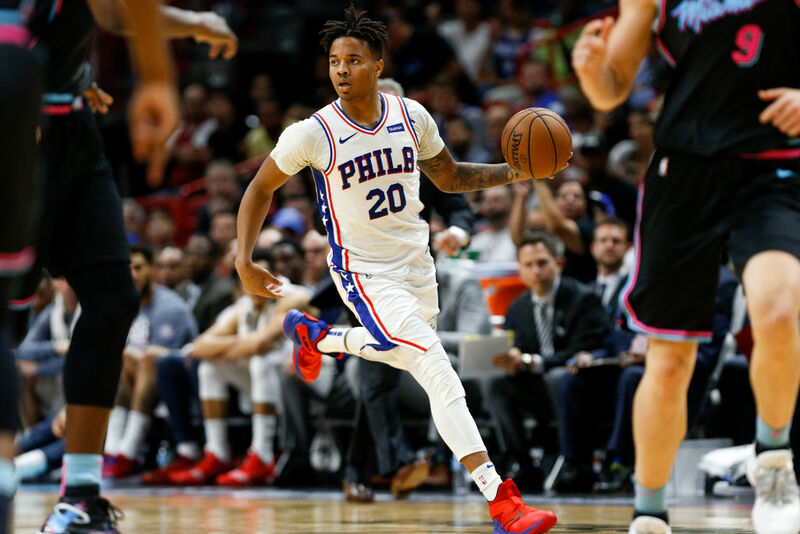 At a time when professional sports are beginning to recognize and understand the impact of depression and panic disorder, Markelle Fultz presents a potential opportunity to take strides towards buttressing, not ridiculing, sufferers of mental illness. If the 76ers cut him, that’s one thing. Athletic organizations have to take into account mental health issues, just like physical injuries, when considering whether or not to retain a player. Teams can only be concerned with the performance put forth in the game, and sometimes that means making a tough choice and cutting a player due to their health. After all, sports are a business, and businesses are about the bottom line. As spectators, though, we don’t have to view players as assets; there is room for compassion towards the human being wearing the jersey. I think Markelle Fultz could use some right about now.